Families of fallen soldiers demand defense minister nullify candidacy of Maj. Gen, Yair Golan over willingness to put soldiers at risk. About 100 bereaved families sent a letter to Defense Minister Avigdor Liberman on Sunday demanding the disqualification of the candidacy of Major General Yair Golan for IDF Chief of Staff. In the letter, the families noted a number of some outrageous statements by Golan, including one from more than a decade ago, when Golan told the young people that he would prefer to endanger soldiers in order to avoid the unnecessary killing of a 60-year-old woman. In another controversial statement Golan said that one does not have to take the life of an unarmed Arab running toward four soldiers. In his most famous statement he spoke about "horrifying processes" in Israel that reminded him of Nazi Germany. "From these statements, a disturbing picture emerges of a commander who is prepared to take unnecessary risks against the lives of our soldiers," the families wrote in the letter, which was published by News 2. "As parents, siblings, and spouses, these quotes are of great concern to us. A man to whom the blood of our children is cheap cannot protect and command them. 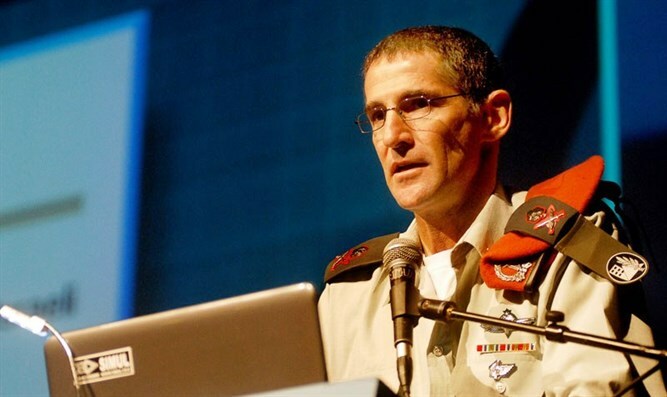 The procedure for selecting the next chief of staff of the IDF was launched last week after Defense Minister Avigdor Liberman interviewed four generals in his office: Aviv Kochavi, Yair Golan, Nitzan Alon and Eyal Zamir. Prime Minister Netanyahu will also interview the candidates, and after examining their suitability by the advisory committee for the appointment of senior civil servants, it will be decided who will be the next chief of staff.